Kinsley Properties is a fully integrated real estate developer. Our focus is to provide lease space for office, retail, manufacturing, warehouse, and institutional uses in the Mid-Atlantic region. We offer build-to-suit programs in addition to our inventory of existing lease space opportunities. Kinsley Properties combines in-house land inventory, design/build expertise, construction services and property management to provide turnkey value - engineered facilities. We strive to understand your facility requirements and exceed your expectations. Please visit www.kinsleyproperties.com to view current available listings. 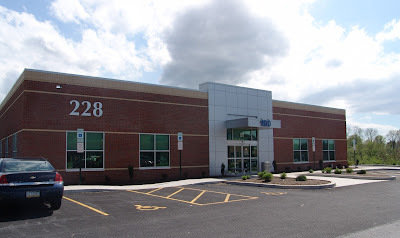 SF & Co. is leasing this attractive office building, with access to Interstate 83. Designed & built by Kinsley Properties to attract executive-level professional organizations to its flexible leasing space, the building’s occupancy consists of a group of corporations representing the banking, finance and insurance industries. Ollie’s is the Mid-Atlantic’s largest retailer of closeout, surplus, and salvage merchandise. The chain currently operates 110 stores in 12 states. 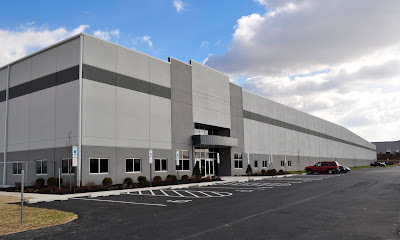 Ollie's Bargain Outlets, Inc. is currently leasing this newly built 603,000 SF distribution center with Kinsley Properties. This new 34,000 SF single story neuroscience and pain center was built by Kinsley Properties for Wellspan Health in York, PA. The building houses five different WellSpan service lines – Adult Neurology, Pediatric Neurology, Neurosurgery, Psychiatry, and the Pain Center – within one building structure, creating a regional center for services.